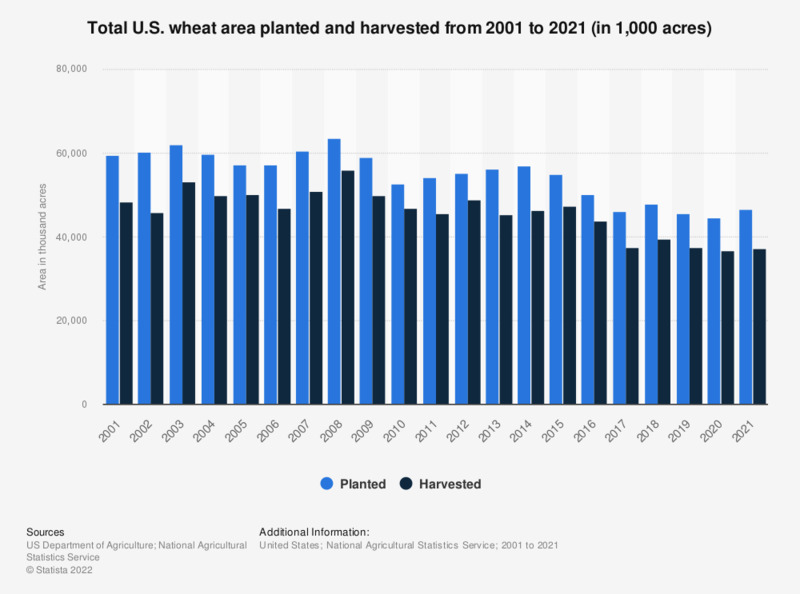 This statistic shows the total acres of wheat planted and harvested in the United States from 2000 to 2018. In 2016, around 50 million were planted and 43.85 million acres of wheat were harvested respectively. The total U.S. wheat production value amounted to about 9.0 billion U.S. dollars in 2016.